Who doesn’t love brownies? We’re sure many of our customers love gooey and delicious brownies, however making them from scratch can sometimes be a daunting task! 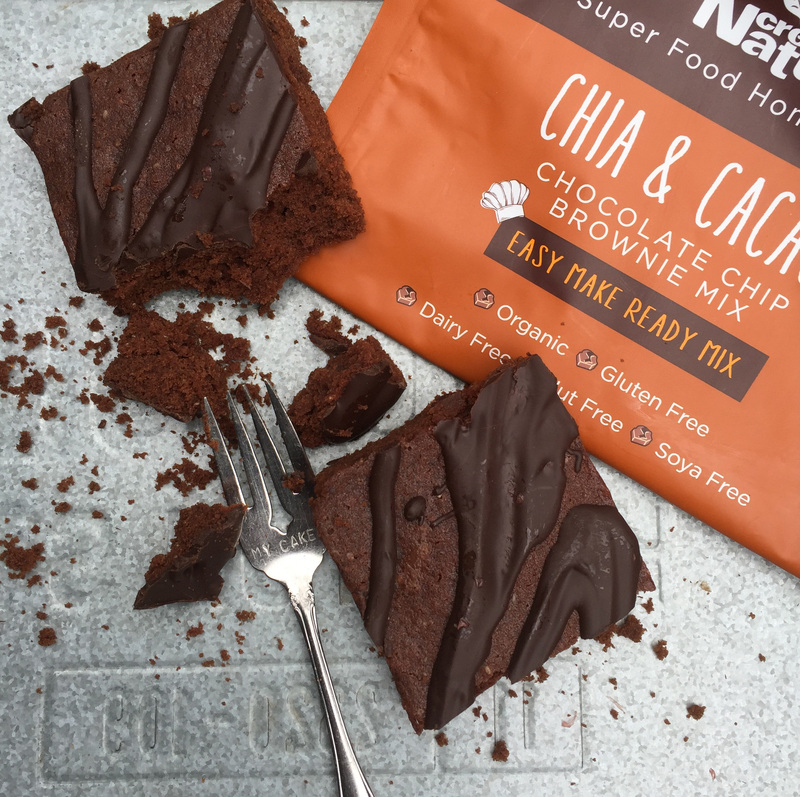 If you love chocolate, baking and you’re looking for a quick and easy ready-to-make brownie to make at home, then this Creative Nature’s Organic Chia & Cacao Brownie Mix is the choice for you! There is no other brownie mix like this, anywhere! If you can’t eat gluten, dairy, nuts, soya, coconut, sweeteners, refined sugars or non-organic products, then we’ve got you covered! We even have a vegan recipe on pack for all our vegan customers who want to indulge in chocolatey brownies by following just a few simple steps. In a food processor or pestle & mortar, grind the Chia Seeds or Flax Seeds until fine. Mix in a bowl with the water and leave to sit for 5 mins, or until gloopy. Add all of the ingredients to a mixing bowl and beat together until smooth (start of slowly so the flour doesn’t go everywhere!). If the mixture seems a bit dry- add a splash more water. Line a brownie/baking tin with grease-proof paper and carefully spoon the mix into it. Bake between 25 and 30 minutes, remove out of the oven and let cool before tucking in!